In this first history of psychotherapy among the Latter-day Saints, Eric G. Swedin describes how modern psychology has affected the "healing of souls" in the LDS community. He also shows how this community melded its theological doctrines with mainstream psychiatry when secular concepts clashed with fundamental tenets of Mormonism. Some religious communities viewed the psychological professions pervasive in twentieth-century American society as dangerous. Healing Souls describes the LDS community's mixed feelings about science and modernity: while valuing knowledge and education, Mormons feared a challenge to faith. Nonetheless, psychology courses were introduced at Brigham Young University, and LDS psychotherapists began to introduce new ideas and practices to the community. Swedin portrays the rise of professional organizations such as the Association of Mormon Counselors and Psychotherapists, as well as the importance of Allen E. Bergin, first director of the BYU Institute for Studies in Values and Human Behavior. 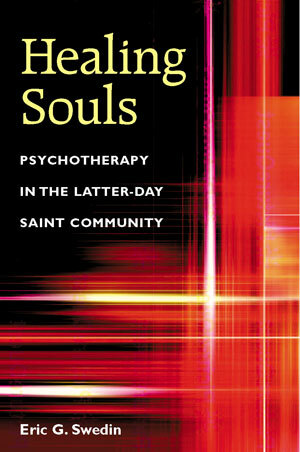 Bergin and others paved the way for the LDS adoption of professional psychotherapy as an essential element of their "cure of souls." Important chapters take up LDS psychopathology, feminist dissent, LDS philosophies of sexuality, and the rejection of mainstream psychotherapy's selfist psychology on the basis of theological doctrines of family salvation, eternalism, and the "natural man." Healing Souls contributes to a more complete historical picture of the mental health professions in North America and a better understanding of how religious traditions and psychology have influenced each other. Published by the University of Illinois Press.